5 Ways To Enhance Your Thanksgiving Weekend Experience! – 5 Ways To Enhance Your Thanksgiving Weekend Experience! 5 Ways To Enhance Your Thanksgiving Weekend Experience! I was going to save this secret for last but to me it’s the most important. For the past two Thanksgivings I’ve indulged in fried turkey. It honestly has changed my Thanksgiving forever. I no longer want baked turkey. I no longer want to douse my turkey in gravy in hopes that it will ignite flavor. 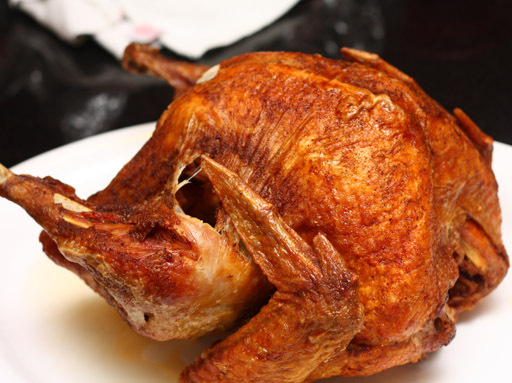 Fried turkey has flavor, it’s moist and absolutely delicious. The secret is, I didn’t make my turkey (judge me, it’s fine.) I took my turkey a day in advance to Seamorhen (11829 Guy R Brewer Blvd, Jamaica NY 11434) and dropped it off. Seamorhen just opened a new location at 190-07 109rd Farmers Blvd 11412. For $60 you can get a delicious fried turkey. Trust me when I tell you they will change your Thanksgiving dinner experience forever. The 89th Annual Macy’s Thanksgiving Parade is on Thursday, November 26th and begins at 9am. The parade marches down Central Park West from 77th Street to Columbus Circle along Central Park South to 6th Avenue, down 6th Avenue to 34th Street and along 34th Street to Macy’s Herald Square (34th Street.) As New Yorkers, I know what you’re thinking. You’re saying “I’ve done this before,” or “I live in New York, this isn’t new to me.” But every year is a new experience with new floats and new entertainment. Maybe you can take someone knew that has never been and make it a memorable experience. Thankfully, Black Friday deals are not only on Friday anymore. You can begin your shopping now! If you’re brave and want to battle the black Friday crowds on Friday, I applaud you. If you’re like me and rather shop online, then I’ve compiled a short list of my favorite stores and their Black Friday deals. Also, if you have been moved by the recent events of our country and will not be participating, I completely support your decision as well. I have also been told about shopular. A app that delivers the best deals from your favorite stores to your phone. Good luck and happy shopping! 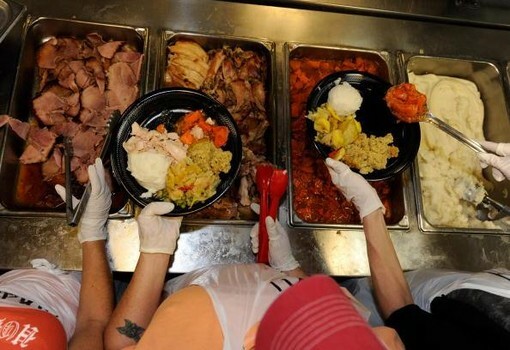 Visit newyorkcares.org, newyorkcommonpantry.org, cityharvest.org and foodbanknyc.org for volunteer opportunities. If your church or organization needs volunteers, contact me: simplypamarie@gmail.com I would be happy to publicize your event. Have you decided to dine out this year? Maybe you don’t feel like cooking and cleaning. Maybe you like the idea of eating dinner at a restaurant and then indulging in an array of desserts at home because cleaning up pie pans is way easier than cleaning pots and pans. Well here are a few restaurants offering Prix-Fixe dinner menus for Thanksgiving.